It seems the whole craft world is obsessed with washi tape and SO AM I. I was so inspired by this fun DIY washi tape frame that I thought I'd give it a go! It's perfect if you have tons of prints or you're always changing things around as you can just peel off the washi and start again! 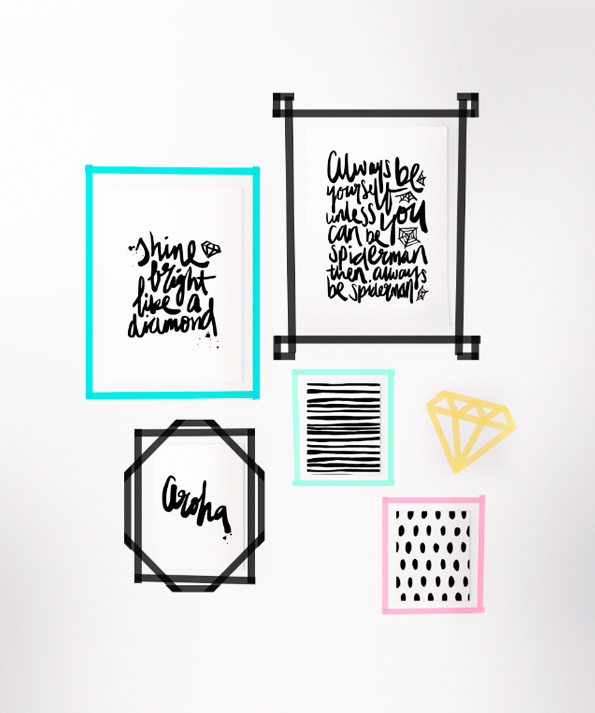 Instant wall art on a virtually zero budget! Hand lettering by Maiko Nagao - NEW!